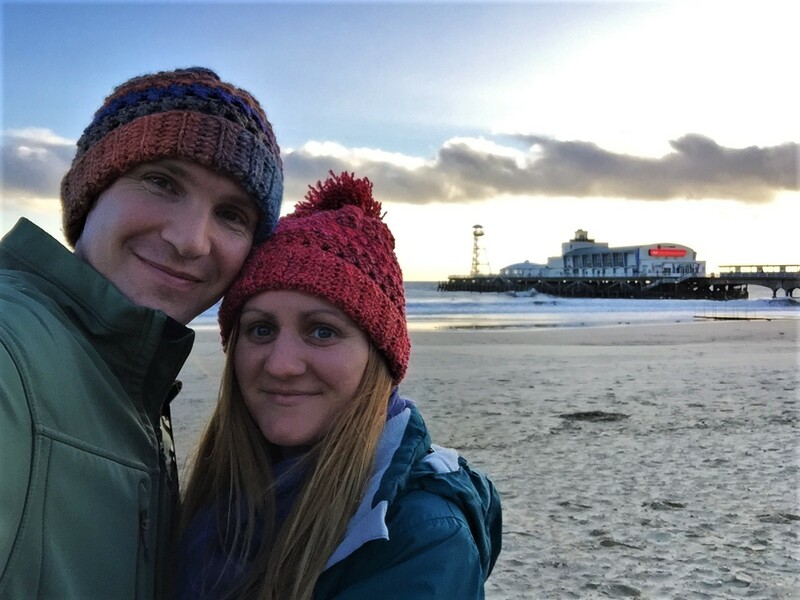 January isn’t the best time for a seaside break in the UK, but when The Cumberland Hotel invited us to stay with them in Bournemouth, we couldn’t resist the chance to visit our former home, which has also been voted the top seaside town in the UK. After a low-key New Year’s Eve, it was great to kick off 2018 with a serene break on the coast before we head to South America. 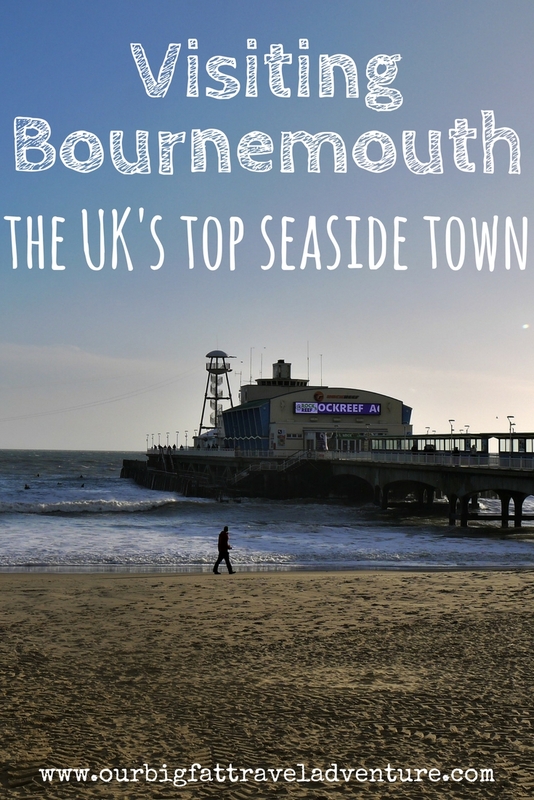 Bournemouth has been voted best seaside town in the UK for the third year running in the British Travel Awards. With seven miles of golden, award-winning beaches and some of the warmest coastal temperatures in the UK, it’s not hard to see why. 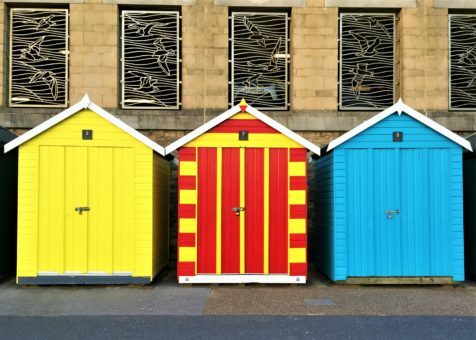 Then there’s the colourful beach huts, historic wooden pier, amusement arcades, Oceanarium and events such as Bournemouth Air Festival featuring the famous Red Arrows. 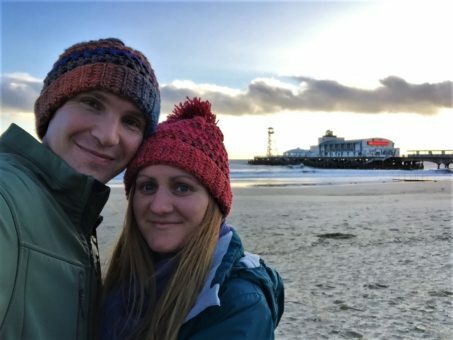 Although Bournemouth is known as a retirement hub, the town also boasts a top university, where I spent a year studying for my Masters almost a decade ago. My memories of that year include watching the August firework shows over the sea, visiting the Oceanarium with my friend and her son and strolling along the beachfront. I also loved visiting nearby Monkey World, the world’s largest primate rescue centre. It was great to revisit Bournemouth all these years later, to walk along the cliffs and promenade, to stand on the pier watching winter surfers and wander through the scenic Victorian gardens. We ate tasty Harry Ramsden’s chips drenched in salt and vinegar and watched the sunset over Boscombe pier, staining the sky in buttery oranges and yellows. Why stay at The Cumberland Hotel in Bournemouth? 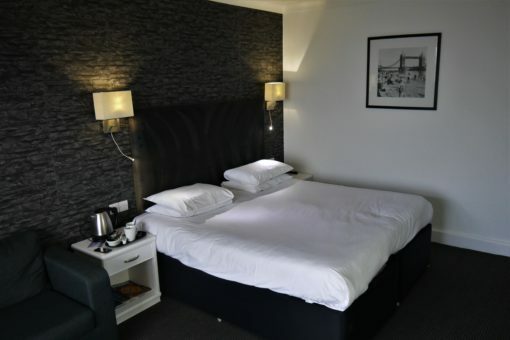 The Cumberland, along with its sister hotels The Suncliff and Ocean Beach, enjoy a prime location right on Bournemouth’s craggy East Cliff, overlooking a stretch of sandy beach. 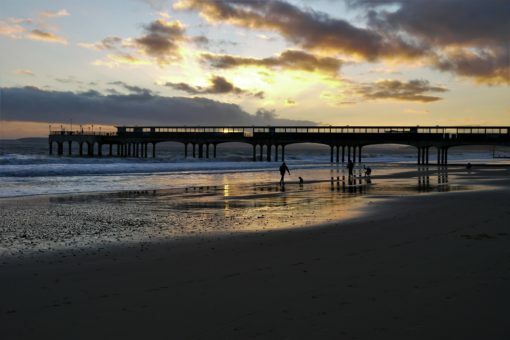 Head ten minutes east and you’ll hit Boscombe, while a fifteen-minute walk in the opposite direction will take you straight to Bournemouth’s iconic pier and Oceanarium. From there, you can walk through the Victorian gardens into town. 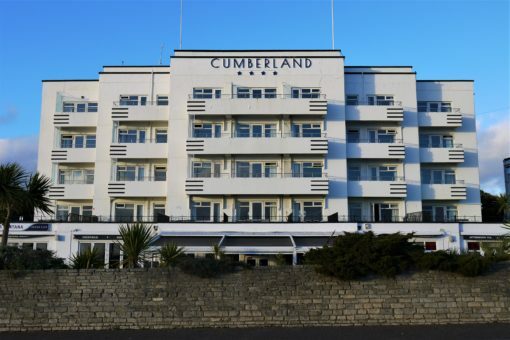 To me, The Cumberland felt like a traditional British seaside hotel, its chalk-white exterior contrasting with cosy interior rooms featuring balconies overlooking the sea. Built in the 1930s, I could imagine generations of families returning for annual summer holidays to enjoy the clifftop views as seagulls swooped overhead. We were lucky to stay in a room with a sea-view balcony, from which we could see both Boscombe and Bournemouth piers. Despite the traditional feel, The Cumberland has a modern, chic interior with an atmospheric lounge popular with guests. 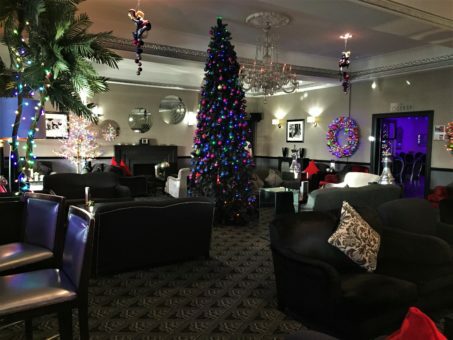 As we visited just after Christmas, the hotel was still decked out with twinkly lights and sparkly decorations, a baubled tree the centrepiece of the lounge. The hotel is also a favourite for its tribute nights, held in the fancy Oceana room, and its proximity to Bournemouth International Centre. Speaking of Christmas, we visited town on the last day of Bournemouth’s winter market. Although we had just overdosed on festive markets in Germany and Prague, we still had fun perusing Bournemouth’s offerings. It took us just 15 minutes to walk there, making The Cumberland a perfect option if you’re planning a festive trip to Bournemouth this year. While It was too cold to use The Cumberland’s outdoor pool, we were able to take a swim in the heated indoor pool at the neighbouring Suncliff. 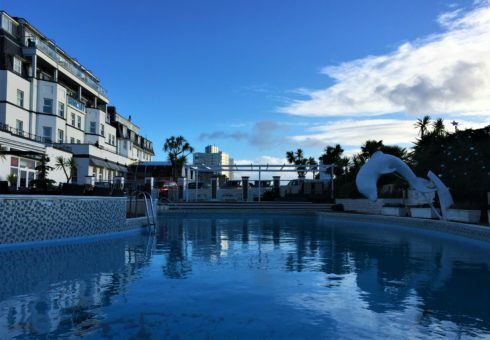 Since the hotels are part of the Oceana group, guests can enjoy the facilities across all hotels, including free parking, pools, gym, restaurants and the spa at Ocean Beach. Aside from the stellar views and prime location, our favourite part about The Cumberland was the food. 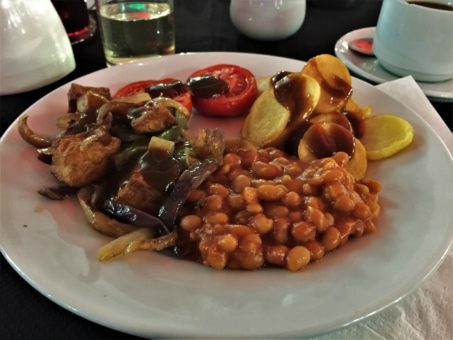 Breakfast in the Mirabelle was a varied continental and cooked buffet with great vegan options including tofu, beans, mushrooms and hash browns, as well as fruit, cereal, toast and jam. Staff were also happy to bring us almond and soy milk. 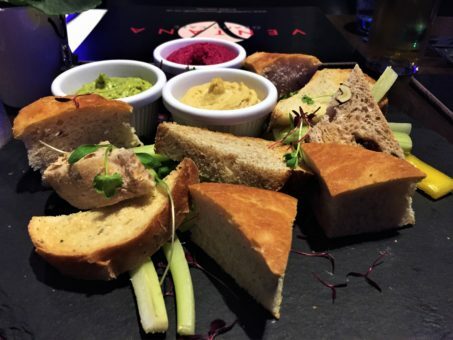 We also tried The Cumberland’s swanky restaurant, Ventana Grand Café, for an evening meal. 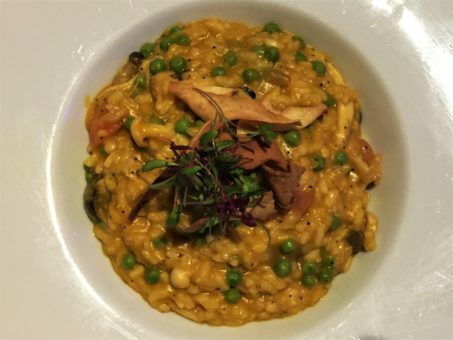 Although there weren’t any specific vegan options on the menu we did enjoy an incredible hummus trio plate and the chef was very accommodating, cooking us a vegan version of the mushroom risotto, which was delicious. 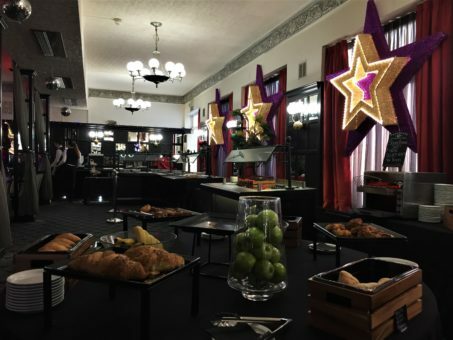 The hotel is also extremely popular for afternoon teas and we were told that there’s a vegetarian and vegan option on offer. 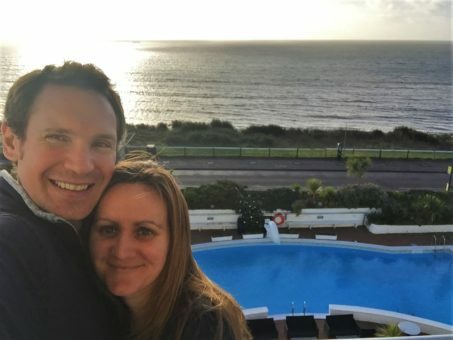 The Cumberland was the perfect place for a New Year getaway and allowed us some breathing space after Christmas to relax ahead of our next adventure. 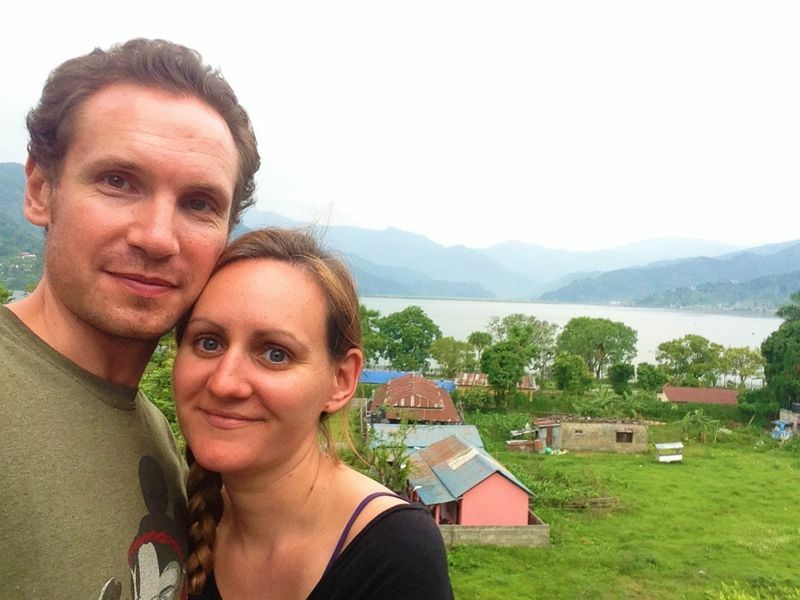 Later this week we fly to Colombia to begin our long-awaited South American trip! We’d like to say a big thanks to The Cumberland for sponsoring our visit. 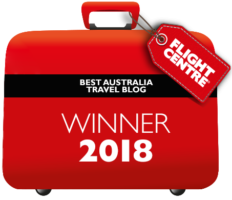 Obviously, all opinions expressed in this review are our own and we had a great time revisiting our old seaside home! 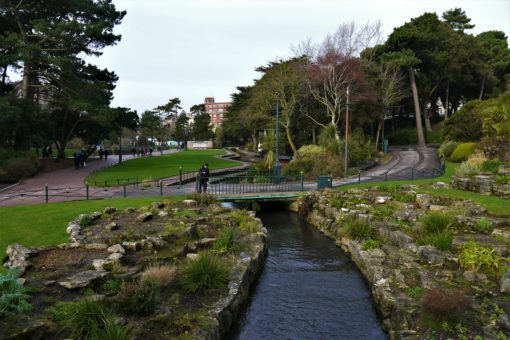 Have you ever visited Bournemouth; would you like to? Amy I can’t believe I missed your visit to Bournemouth. I live just few minutes walking distance from the Pier, but I am currently in Brazil. Your SA plans are awosome and I can’t wait to follow along. I know Gilda! We did think about you but we knew you were in Brazil from your FB posts, sorry to miss you again! We did give your blog details to the PR woman who looked after us at The Cumberland as we thought it would be a great fit for you.